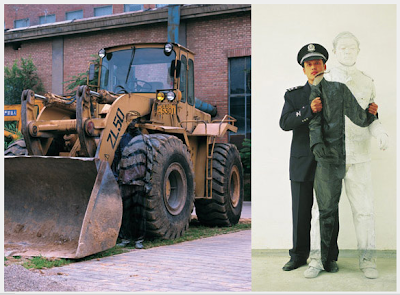 Liu Bolin, a young Beijing-based artist, has become know as the “invisible man” due to his ability to use his own body as an art material. 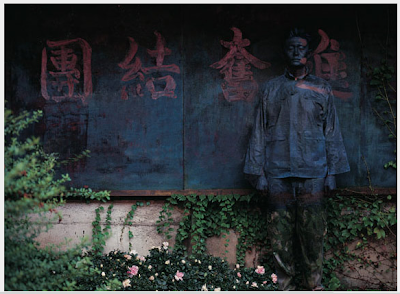 The 36-year-old chameleon paints on himself, appearing to blend in with the backdrop. 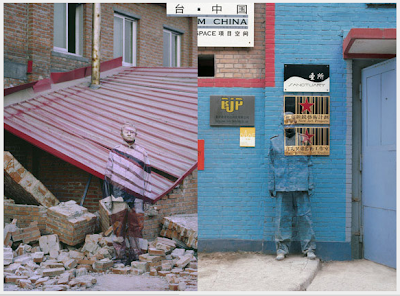 A perfectionist, Bolin often works on a single photograph for up to 10 hours, shocking many passers-by when he finally moves. Bolin said his inspiration came from feeling like a social outcast. “Some people call me the invisible man, but for me it’s what is not seen in a picture which is really what tells the story,” Mr Bolin told the UK’s Telegraph. “I experienced the dark side of society, without social relations, and had a feeling that no one cared about me, I felt myself unnecessary in this world. 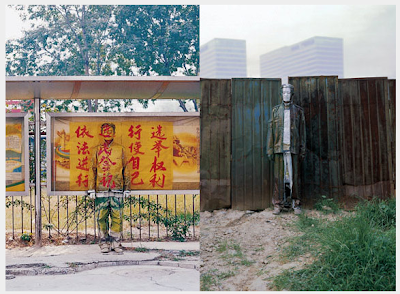 Mr Liu says his work is also a protest against the government, who shut down his art studio in 2005. Very cool indeed. Love these. Lovely site! Diesel stole the show, though. Wow, those are so cool! Any ideas as to why his studio was shut down though...? Totally awesome. I had a hard time finding him in the tractor picture. Was Diesel in a picture? I didn't spot her. Wow really cool. I have so much appreciation for really good, and really unusual art. Thanks for sharing!